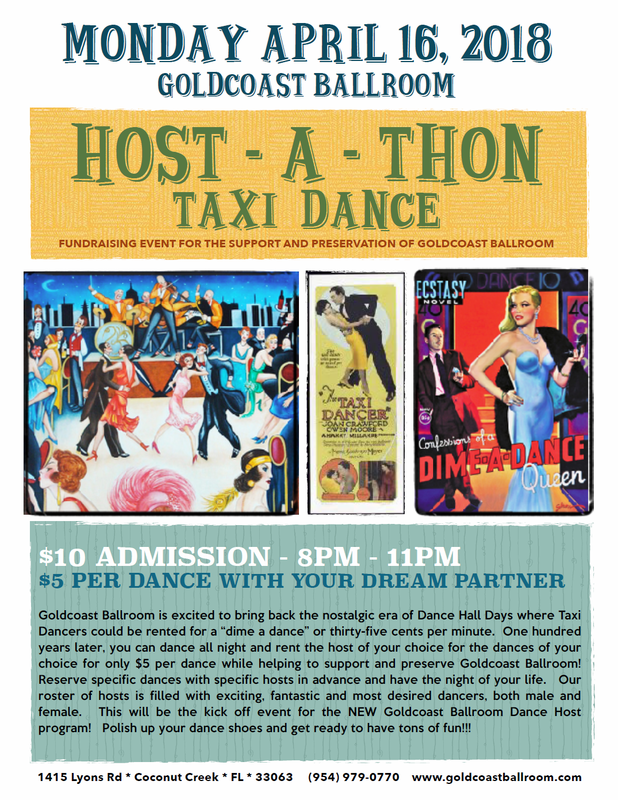 Goldcoast Ballroom & Event Center | SPECIAL HOST-A-THON DANCE PARTY & FUNDRAISER!! 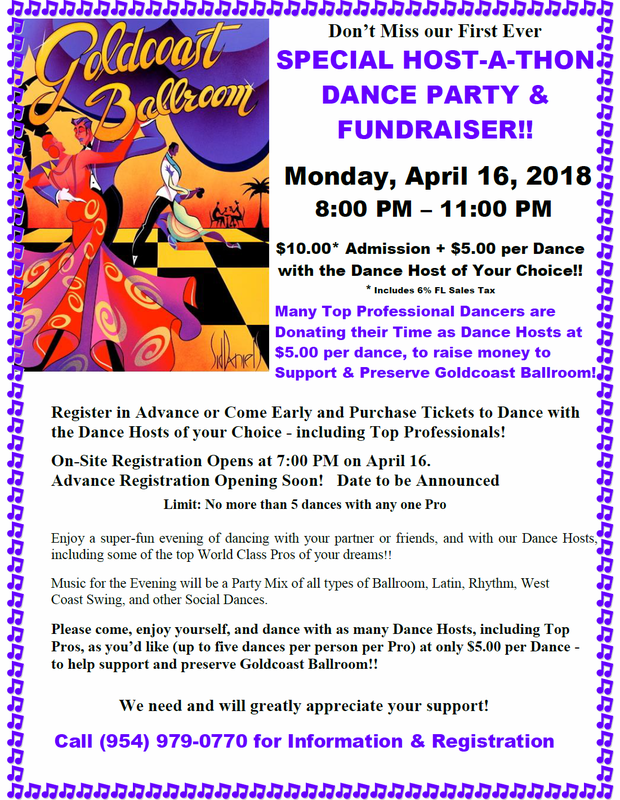 - Monday, April 16, 2018 - Top Pros Donating Their Time as Dance Hosts to Help Preserve & Support Goldcoast Ballroom!! - $10.00* + $5.00 per dance to Dance with the Dance Hosts of your Choice - Including Top Pros! SPECIAL HOST-A-THON DANCE PARTY & FUNDRAISER!! - Monday, April 16, 2018 - Top Pros Donating Their Time as Dance Hosts to Help Preserve & Support Goldcoast Ballroom!! - $10.00* + $5.00 per dance to Dance with the Dance Hosts of your Choice - Including Top Pros! Note: Due to demand, no more than three (3) dances per person per Pro will be permitted. This has been reduced from the 5 per Pro previously advertised.